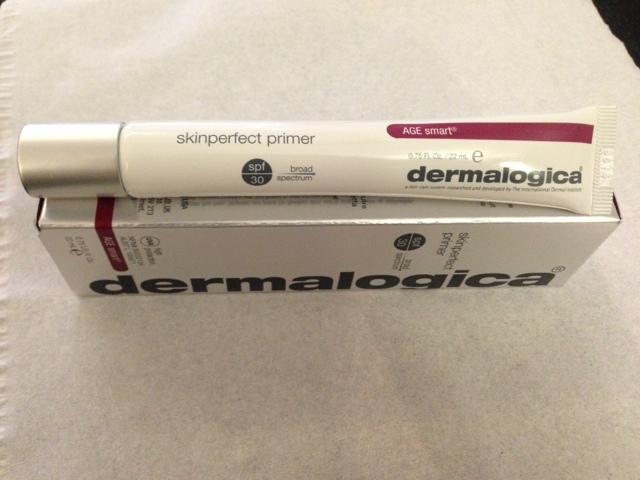 A few days ago my Mum gave me a sample of the new Dermalogica Skinperfect Primer to try out. I must admit, I can be a little lazy when it comes to primer. On a day to day basis I rarely bother, especially considering the fact that I have still not found a face primer that is worth everyday use! I was sceptical about this product for a few reasons. First, its part of the 'AGE smart' range, which immediately put me off as I though that it would not be appropriate skin. 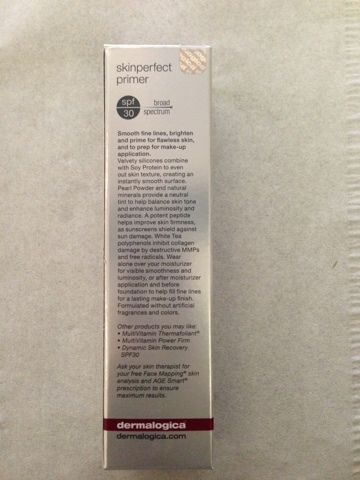 Also, due to the high(ish) SPF in the product, I was concerned it might feel a bit too heavy as a primer. However, I was AMAZED by this primer! My new love! It is a kind of peachy shimmer which evens out skin tone, brightens skin and looks lovely! I can't vouch for the claims that it 'smooths fine lines' as luckily I am a bit young for those at the moment.. But the best thing about the Skinperfect primer is the feel of it on the skin. 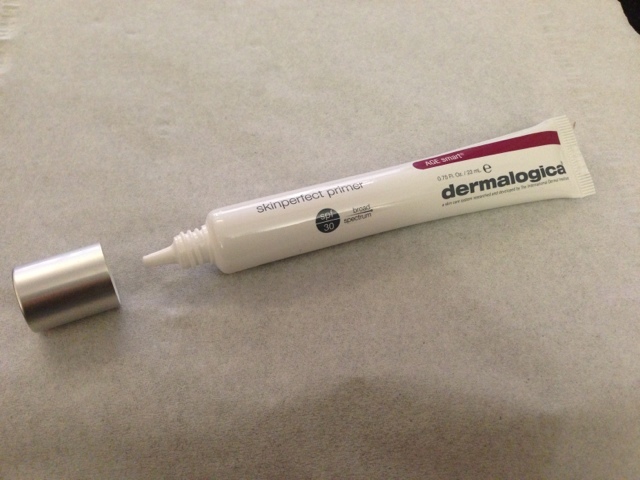 It is not unlike Dermalogica's Barrier Repair. It glides on the skin and leaves an extremely silky finish. Although I personally love this feel, I could imagine its not everyone's cup of tea. The two downsides for me of this product would be the price, the Dermalogica Skinperfect Primer retails for £36, not the most expensive primer I have heard of, but still up there. And also the fact that it does not keep my face from becoming shiny, the product does not claim to do this so I am not too upset about that. This will definitely be a new addition to my skincare/make up!